Facebook Like Button allows you to provide more Sharing Options to your Readers. Your readers can share your posts on Facebook using the Like Button. Have you added the Like button and still not getting any “Likes”? :(. Ok then we will present the Like button in a much better and elegant way. Here is a Screenshot of the Facebook Like Box. Isn’t it lovely and more “Likable” than the default Like Button? The Facebook Like box also includes a link to your Facebook Fan Page. This FB Like Box was Designed Styled and coded by Mia of Dezign Matterz . Thanks to her for designing and styling this awesome Like Box. 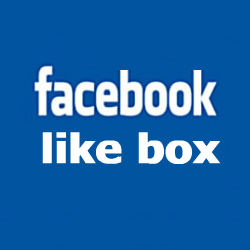 How to install the Facebook Like Box? 3. Search for ]]></b:skin> in your template and just above that place the following code (You can use Ctrl +F to find the code). 4. Search for <data:post.body/> and immediately below that code, paste the below code. This is required for all FBML widgets using the fb tag. So if you have already added the namespace while adding some other FB plugin, then you can skip this. 6. Now Save your template and you will see a Facebook Like Box on your post pages. i am sorry friend i have no confirmed blog yet so please help me ? I've tried to insert this in my blog but i don't know where enter the width and the facebook page url, so it doesn't work for me. @Sarù - there are two text fields in this post(width and fan page url). Fill them first. After that copy the codes and follow the instructions. This is a cool gadget. I had no problems installing, but it's too wide for my blog posts. I tried adjusting the widths but it was still too wide. My max width on my posts is 450 as I have a left and a right sidebar. Any suggestions? @Amanda - the range is now updated. Its now 400-600px. Thanks for updating that! Can you do me a favor and take a look? I don't know why, but I'm not getting the outer border like you are. Maybe something in my code messing with it? Cool thanks! That did it! Weird, I have those type of tags throughout my template and they haven't caused a problem with anything else. *shrug* Thanks! @Pro-Computer Gambler - i see it working on your blog. btw i see that you are masking your blog url using your domain name. There is no need to do that. you can actually publish your blogger blog to your own domain name. you will find the required details if you do a search here for "custom domain"
but, i wanna to ask, How to find the best size for "Width of the Like Box " on my template?? Great work. Thanks a lot. We have implemented in here. @Beben- i didn't understand what you meant. The style rules for .fb_like_top a will appear only if you fill in the Facebook Fan Page field. Hi..Thanks for all those useful tricks. But none of these are working on my blog (http://www.cosmogeek.info). Is it something my blogger template blocking? Please help me out. I want to incorporate many plugins to my new blog. Thanks in advance. Hi aneesh.. I tried it too but its getting error like this..
XML error message: The reference to entity "q" must end with the ';' delimiter. can u please check this? Cool. Really nice one for the blogger blog with a face book community. searched for the data post body and nothing is found. tried diffenet templates etc. anyone else have this problem? I cannot get the design. @for those this awesome plugin not working - if your blogger template is using the post summary script which summarizes anything present inside that div with id '"summary" + data:post.id' , you have to move the second code out of that div. Wow! This is something I've been looking for. Thanks for the tip! I added the code but it didn't appear in my blog. Why? I am not familiar with HTML, so this is not for me (makes me sad ). How about introducing a Blogger Sidebar Panel, this will be very useful to all Bloggers. At the moment I am badly in need of one. There are panels on "Widgetbox" only to be used for their widgets. @Beben - the post has got a code generator. When you type in a facebook url into the generator, that CSS will be added to the code in the post.If the facebook url field is empty, then that code wont be present in the code. Hi I hope you can help me. I made all the steps but nothing happened. @EUFISICA - i still see it there on your Blog Template. It wont work unless you remove it. In the edit template I selected Expand Widgets Templates and I used the CTRL+f to find it and doesn't found anything. I copy the code again and I pasted just like the post explains and nothing. Can you send me an email and shall me where is the mistake? Did all the steps but nothing, what's wrong? I just installed it on my blog, and it worked! Thank you. Yeah its true, facebook somewhat looking like blogger. "@for those this awesome plugin not working - if your blogger template is using the post summary script which summarizes anything present inside that div with id '"summary" + data:post.id' , you have to move the second code out of that div. Yes, mine is using the summary tag. So I'm at a loss as to where to put the second code. Any help you can offer would be great! It worked when I put the second code AFTER the last "div/>, following "data:post.body/"
My challenge was that my template had 3 data:post.body tags one right after the other. So this was reasonably confusing. I cant seem to find the tags in my html. Has it got anything to do with the fact that I changed my template to a third party template. And if it is can someone please send me the tags where i should place it thanks. Thanks for Tut ! I like it! How do I remove the Become a Fan icon? Aneesh I can't find the second part any suggestions??? I am having some problem with this facebook page. Please help as I can see that Become a fan link is not showing the image and it is shown on the left hand side. The link to one of my blog post is Here. Please check it out and give quick responses. What is the Source that has the logo of this blog? its working in my blog .... really its great one for all . Looked like a great idea! I followed the directions perfectly, inserted the code in exactly the right place, and it just would not show up at all. I tried several times, and it just simply would not work. Not sure whats wrong, but no dice for my blog on blogger. Any ideas? the like box is to big for my blog template..what should i do if wanna resize that box to the smaller one? hope you can help me.. It works great on every post but one where the included photo seems to have split it. Any ideas on how to make it appear below the photo? Why? and which part on the 'edit template HTML' should i find them? I don't find the code in my html. Where should I be entering the 2nd part of this code in that case? truly great piece of writing. the information provided in the article was of great use. em,,i have a problem esspecially when to put the html coding to template designer..anyone can help me?? I've been trying for some time now and just can't seem to get it on my blog. Can you please help me? I don't understand coding and I've tried to read about it and research; however, nothing is helping. It doesn't show on my page. I don't know what 'moving it out of the div' means and I don't know how to do that. Can you please tell me how I can add this gadget. urgh,,it doesnt work on me! can somebody help?? I cant find the second part i.e : "" on my template. can you help? I posted above and below and still dont see the widget? Do i post directly above these codes you suggest or ABOVE and BELOW the code itself.. does this make sense? I cant use it on my blog. I did it according to the steps but nothing came out on my blog. I got the first part right, but it seems that the code isn't in my template. I used crtl-F to find it but i don't think it's there. What do i do? I just have it on my blog. It's really cool. All the previous likes from my links that I posted in Facebook before were also accumulated. Really, really great. Thank you Facebook. Awesome plugin. It worked after a little fiddling on my part. IE remove the code in green in the second part of the code. Duh! Thanks for this awesome tip. Thanks so much for posting this. i know you don't do this to help non-HTML people but..... HELP! I don't have in my blog. I looked at another blog that had it working & I put it kind of where they did but it isn't working. Anyway you can help? My blog is www.merrywithchildren.com. At last I also make use of this template hack. Thanks for this wonderful presentation to Blogger world. Hello, I am unable to find this on my blog in Edit Template , Please Help me. Hi there, I have tried on my blog under blogger, but it seems that it is not revealing itself out though. I am using the template from blogger itself but wonders if anything is wrong with their coding which cause this to happen ?? I followed the direction exactly the way you have posted. I save the the template but I don't see the box on my blog. I used 540 for the width of the like box, should I have used different. If this is the reason, how do I change it. Please help. Sorry to bother you but I cannot get this to appear... I know I must be doing something wrong... any suggestions. Please disregard the comment posted by me above. When I logged on to my blog today, I saw the facebook like box under each post. IT WORKED !! Thank you for the step by step instructions. Surekha. To remove it, I did what Avinash Kumpati (in Oct 2010) said, and it worked. Perfect!! Thanks a lot. I have implemented it on my site! Great!! It didnt work on my blog. please help me.. i want to implement this on my blog. I followed the exact steps. Totally amazing, works like a charm. Thank you SO much for this! i have huge problems with widgets and stuff like that on my blog. For my blog its don't appear :( ..
niceeeee, will add it to my blogs for shore! can we change the code t show our like fans avatars? Razaullah did you check the box Expand Widget Templates first? It won't find it if you don't. I am having a problem finding the part in my template. I have looked VERY carefully 5x. Can you help me pin point where it might be? Maybe I'm just missing it. Can't wait to get it to work....Thank you in advance! @Natalee - well use Ctrl + F to find it out. Search for data:post.body Make sure that you have checked the "Expand Widget Templates" option. Awesome!!! This works for me, but having a minor issue. Aneesh: Please disregard my previous message. I think I've figured it out. Thank you so much for helping me make my blog better!!! I'd greatly appreciate your response. Thank you in advance. Is it possible to use some code in old tem in blogspot/blogger. I am still using old one and it suites me fine. I would like to change Like & Share this... and Become a Fan texts into Hungarian. Where can I make these? Thanks for this... I'm now using it on my blog. Loved it! Not really seeing the part for the second to last step, super new at this and probably asking the dumbest question ever, but scoured the HTML and didn't see it after searching even things like body: under find. I can't get this to work on mine... any suggestions?? Gee, hope this confession helps others - was looking for it on the main home page (all the posts together, but it only appears on each Post's separate post page - can't believe I struggled to fix what wasn't broken for a hour - hope this helps someone else... It was working all along: http://toadhalltimes.blogspot.com/2010/09/gallery-from-album.html Looks great, thanks! I have no Idea what any of you <><*&^%$$%&*^ are talking about, I'm very old and clueless, I go to the like box page,click on get code,your like box plugin code: - appears w/2 boxes with letters in bold at thew top of each box, I click on get code and nothing^&&*)()&&^%&*$%%$ happens? Dude, you have the patience of a saint running a site like this. Dunno how you do it. Keep up the good work. I cannot find the portion in the blogger template...waaaaaaa... HELP! I have searched for it but cannot locate it.. I can do the top instruction but this 2nd one has me confused... how can I not have that portion like everyone else...is there another phrase I can find to post that 2nd portion? I have installed this widget on my blog Celebrities Juice, i am not sure why widget blue border is missing. First thing thanks, althought i did exaclty what the instructions said nothing appears on my blog any idea? @Wishmaster - you added it twice, and is appearing twice. :) you will see this only on your post pages. hi aneesh..thanks for your effort for making this out but it seems like the box is 10% transparent (no borders appeared on blue side) appeared on my blog..
do u have any idea to fix this out? I would like to know if there is a way to control what image is chosen when someone shares my blog on facebook, blog, web 2.0, etc. It is currently pulling an image from my sidebar (blog directories) - I DON'T want this image to represent my blog. i cant find the code : "]]>" and ""
@Mystery M - the like box will appear only on post pages and not your blog's home page. you might have missed that. If you delete those 2 green lines of code, then you will see it everywhere, but i think its better to restrict it to the post pages. Hi there. I added the big "Like" box at the bottom of my posts, as well as the small Twitter and FB one at the top. I then noticed my Facebook widget in the sidebar no longer loads. So, I removed all sharing buttons and it still seems to not work. Can you confirm any of this? Thank you! You were right! I thought anyone who liked this box, but was using WP might like to know, they can use it too! @psp iso - lol incomplete code can harvest traffic? btw, the css that you mentioned is needed only if you want to add a FB fan page/profile link to the like box, and its useless otherwise. If you type the facebook fan page/profile link into the second text box and try to copy the code, the code will get updated with that link css.if you remove the facebook link from that text box, the link CSS will be gone. it was actually a method to optimize , and not something to bug the readers. Great code, great work! Thanks very much!!! @Jozef - remove the 2 green lines of code, and you will get what you need. thanks for share ... but on my blog http://www.condotel.co.cc in other pages when i click like ... its appear but has -error on the end of lines ... can you help me fixed it ? hello aneesh.. i have some prob! my question is same with ✖kapan™✖, no borders appeared on blue side.. any idea sir? how can i fix it sir? yeahhh!! its working!! tq very much for ur helping! How do i align the Facebook Like Box at the center of my blog pages? aneesh : how to add send button like urs to this facebook like box? can u give me the code? hey aneesh. how to add the send button just like in your like box? please post a tutorial..
love this so much. Thank you for posting. Can i have a social pluggin pack to show all popular like and +1 boxes together? Thanks a lot. for this post. but i have problem with it. Blue border is not available in my bos. i found in comments that @Amenda have the same problem. and you also answer her but i cant found that answer helpful for me. please help me if you can here is my blog address. I see the like box but not the fan background box. @Trish - you deleted a closing brace by mistake. It worked but it doesn't show on news feed. Any idea why?